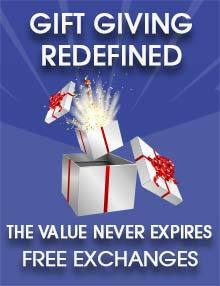 The Taste of Speed package is for those who want to say “I did it!”. The Taste of Speed package is all the excitement and thrills of NASCAR racing in a smaller “condensed” experience. 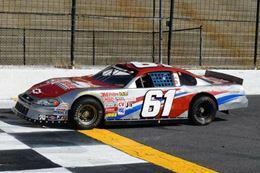 Slide behind the wheel of a race primed stock car for some high octane, adrenaline-fueled fun at Five Flags Speedway. See for yourself the speed and power that these machines bring to the table. The “Shootout” experience is so much more than any entry level experience. You drive for 15 laps of intense racing! This is the perfect gift for the NASCAR fan in your life. 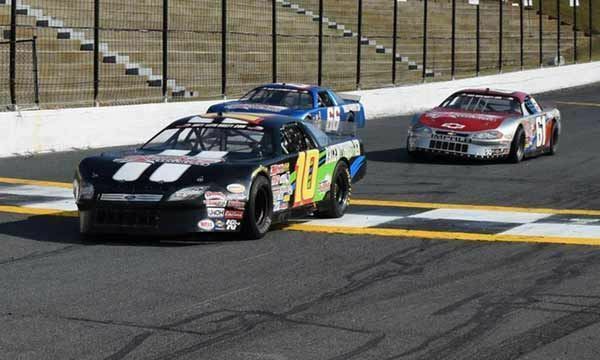 Make their dream come true at Five Flags Speedway with a genuine stock car racing experience.They will never forget the thrill of holding the pedal down and pushing a 400 horse power racing machine around the oval at speeds up to 150mph. The angles of the banking and the layout make this an extremely fast track, with the lap record being under 17 seconds. Upon arrival, you’ll be suited up in a fire-retardant driving suit over your clothes and a full-face helmet. Next, at the drivers meeting a racing school instructor will get you ready for the incredible speed and power you are about to discover. They’ll go over how to enter and exit the track, the flags used, finding the line, passing and much more. Then comes the exciting part! You’ll climb through the window and into the driver’s seat, get your earpiece set up under your helmet so you can hear your instructor while you’re on the track and get strapped into your 5-point harness. You'll get advice on changing gears and braking points the whole way through, so you can drive safely while still getting your speed up to an incredible level. With your loved ones on the sidelines watching you experience the once-in-a-lifetime thrill of an adrenaline-fueled heart-pumping, white-knuckle race car drive, you focus on the track ahead while the roar of the engine drowns out every other thought. 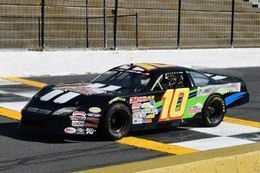 High speed laps around Five Flags Speedway, a 1/2 mile Short Track Oval. You drive a 400+ horsepower stock car. The design of the Late Model racing cars combined with their incredible power to weight ratio make them lighter and quicker than the bigger NASCAR style Cup cars used at bigger ovals. The chassis, combined with a 400 hp GM crate motor, will have you breathless as the car rockets off the corner. Real fast! Every track and student is different. 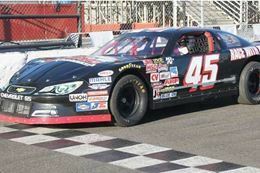 The speeds will vary according to a driver’s individual performance. You must have a valid driver’s license and be at least 18 years old to participate. All participants are provided with a driver’s suit, a HANS Device and a helmet with one way radio communication. All Drivers must be able to climb through a 15” high by 28” wide window that sits 35” from the ground. Minimum height is 5' tall. Maximum height is 6′ 4″. Chest and waist can be no bigger than 52". Participants need to wear clothes that will be comfortable under the Drivers/Riders suit and closed toe shoes. A tennis shoe or equivalent usually works best (no boots). The shoes you wear should allow you to feel the pedals through the sole. 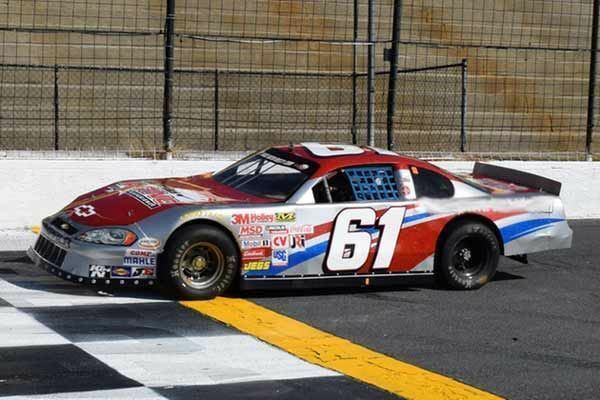 If you are a NASCAR fan and have always wanted to discover what it is like to be on the track for yourself, this Stock Car Racing experience at Five Flags Speedway is the way to go and is a thrilling unique gift!